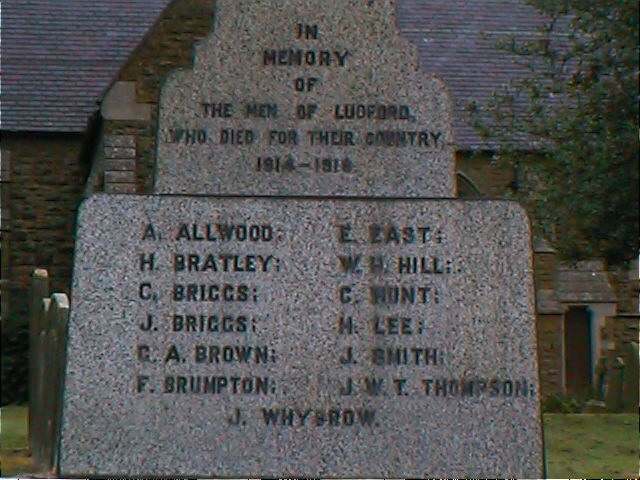 You can also perform a more selective search for churches in the Ludford area or see them printed on a map. The Anglican parish church is dedicated to Saints Mary and Peter. 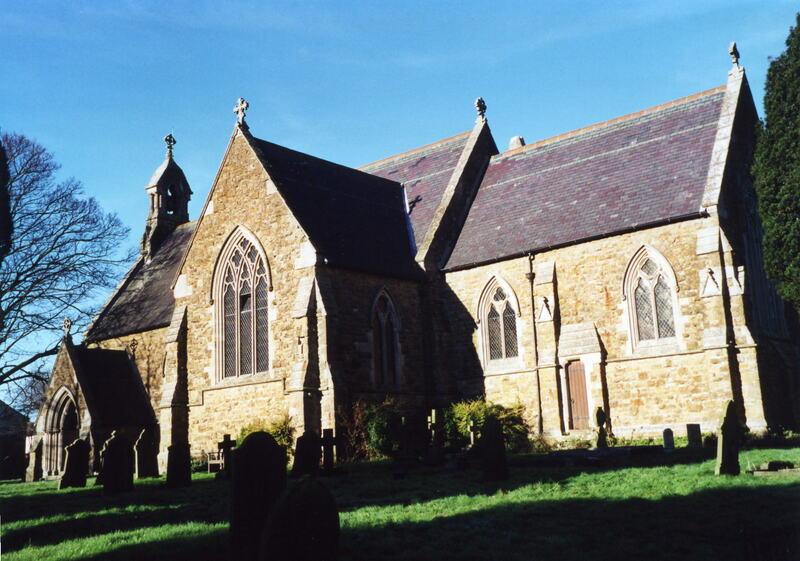 The church was built of stone and was rebuilt about 1862-64. Here is a photo of Saints Mary and Peter's Church, taken by Ron COLE (who retains the copyrights). The Anglican parish register dates from 1696. The LFHS has published several marriage and burial indexes for the Louth Eske Deanery to make your search easier. 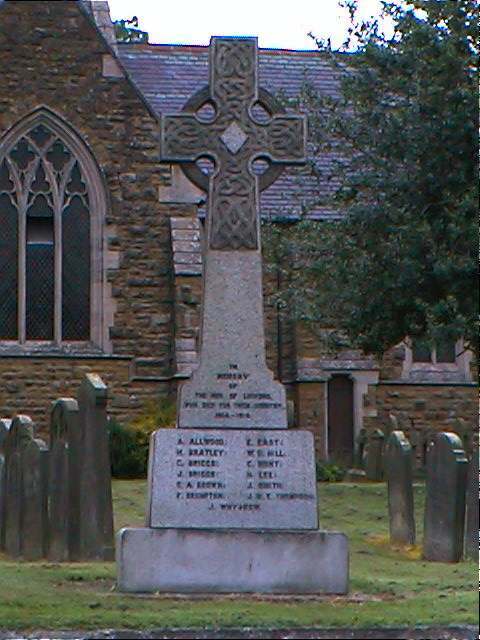 The church contains the "RAF 101 squadron Roll of Honour". Kate NICOL has a photograph of the Former Methodist chapel at Geo-graph, taken in 2010. Ludford is a parish at the north end of the River Bain, west-north-west of Louth and south of Binbrook parish. The parish is in the Wold Hills and covers about 3,300 acres. The parish includes the hamlets of Great Towes and Thorpe le Mire (also known as Thorpe in Mire). Kate NICOL has a nice Winter playground scene at Geo-graph, taken in 2010. By car, take the A631 between Louth and Gainsborough. Ludford is close to where the B1225 crosses the A631. Ask for a calculation of the distance from Ludford to another place. You can see the administrative areas in which Ludford has been placed at times in the past. Select one to see a link to a map of that particular area. The village was the epicentre of a 27 February 2008 earthquake measuring 5.2 on the Richter scale. Although no buildings were seriously damaged, the quake was felt over a wide area. The village holds an annual Christmas Fayre early each December. Coaches were built here in the early 1900s. Michael PATTERSON has a photograph of the Black Horse Pub at Geo-graph, taken in 2006. Mrs. Selina GILBERT was the proprietress in 1930. Kate NICOL has a photograph of the sign for theWhite Hart pub at Geo-graph, taken in 2010. Michael J. H. McDONAGH was the proprietor in 1930. The RAF opened an airfield called "RAF Ludford Magna" in 1943. They flew Lancaster bombers out of the base. RAF squadron 101 have a reunion every year in early September. Although he field had concrete runways, mud was always a problem at the base. It soon earned the nickname "Mudford Magna". The field was closed in October 1945. In 1956 the field was used as a Polish transit camp. The field was re-opened in 1958 and the next year it became a Thor missile site. The field was closed again in May 1963 and sold off in October 1965. Jonathan THACKER has a photograph of some derelict buildings at the base on Geo-graph, taken in 2011. The parish was in the ancient Wraggoe Wapentake in the East Lindsey district in the parts of Lindsey. For current governance, see the East Lindsey Govt. Council. Bastardy cases would be heard in the Wragby petty session hearings on the first Thursday of every month. A Public Elementary School was built in 1853 and enlarged in 1907.